Purple and Tempur-Pedic are two of the biggest names in the mattress industry. While the former made a splash in the bed-in-a-box boom of the mid 2010s, the latter has been causing waves since the early ‘90s when it first turned sleepers on to its tech-heavy mattresses. 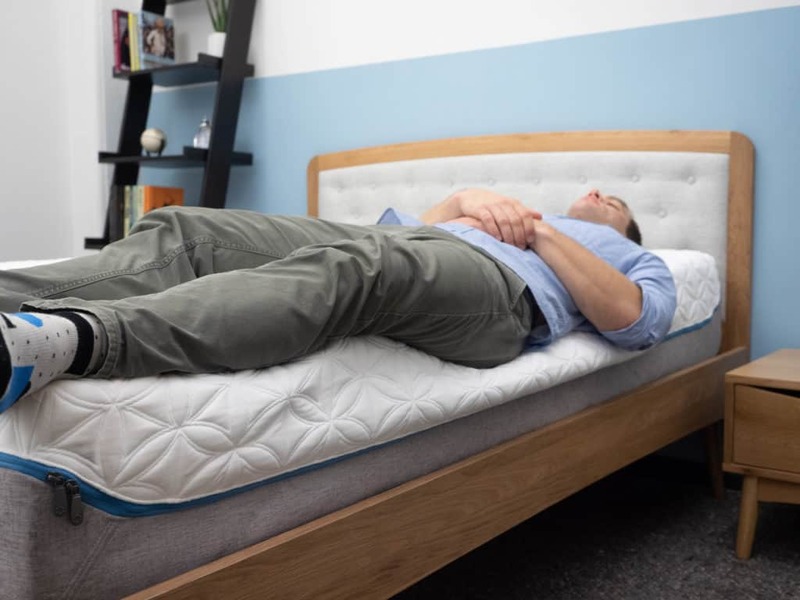 Though these two brands sell incredibly different beds, their focus on creative product innovation has set them apart amid a sea of companies trying to disrupt the market. But which has the better mattress, you ask? Well there’s only one way to find out! To see how these companies fare when pitted against one another, continue reading on below. A small note, for the purpose of this comparison, I’ll mainly be focusing on the Original Purple mattress and the Tempur-Cloud Supreme. Before we dig into the specs that set these brands apart, let’s take a second to talk about some of the things they share. 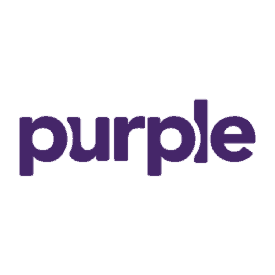 Popularity – As I mentioned up top, Purple and Tempur-Pedic are two of the most popular mattress companies in the game. They’ve stayed ahead of the curve with interesting tech that’s made their products stand out from the pack. Many Models – Both brands also boast several different types of mattresses. I’ll go over some of these other beds later on in this comparison, but think it’s important to point out that this diversification endears these companies to a wider range of sleepers. 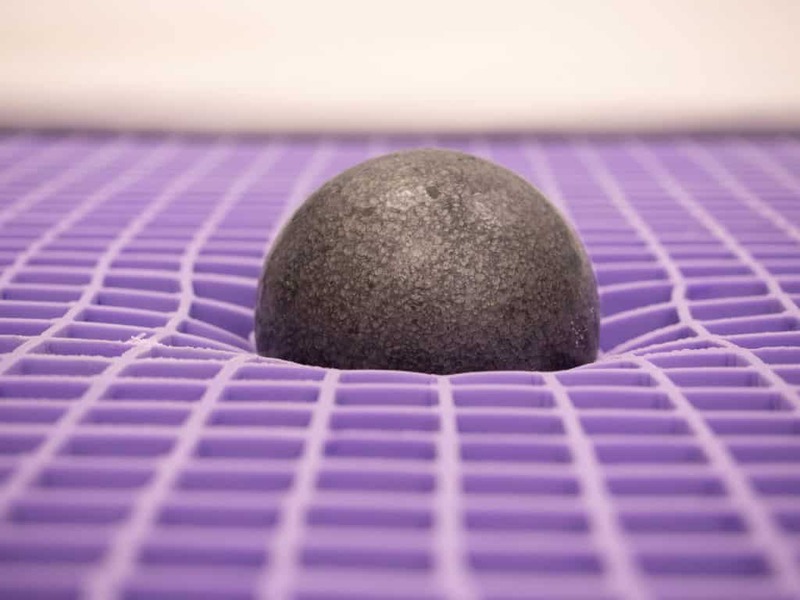 All Foam… sort of – So, the Purple technically utilizes a polymer material in its comfort layer, but it’s worth noting that neither of these beds use pocketed coils, which gives them a different feel than a hybrid or traditional innerspring. However, the brands do implement hybrid structures in their other beds, specifically the New Purple models and the Tempur-Pedic Flex Supreme. Now that we’ve chatted about the similarities, let’s see how these beds fare once we pull back the curtain (…er, cover) and see what’s going on in their respective constructions. 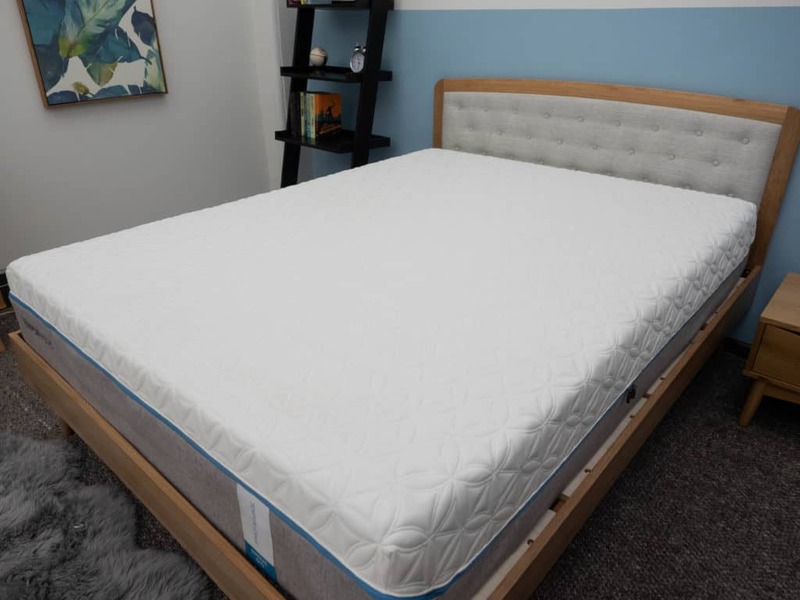 I’m going to walk you through a brief synopsis of each bed’s specific build below, but would encourage you to also check out our full reviews of the Purple and Tempur-Cloud Supreme. Cover – Made of a polyester and spandex blend, the cover is thick, stretchy, and breathable. Comfort Layer – The top layer of the mattress is the brand’s Smart Comfort Grid™, composed of a purple hyperelastic polymer that adapts to your body in real time. What this means is that as you move around the bed, you’ll find that the material moves with you, contouring to your curves no matter the position. This produces some pleasant pressure relief without the dramatic sinkage you’d likely experience with memory foam (looking at you Tempur-Cloud Supreme). Purple also says the grid is “temperature neutral,” working to dissipate body heat throughout the structure. Transition Layer – A 4” layer of high-density poly foam separates the polymer comfort layer from the base below. The main function of this section is to transition the sleeper between the different materials. Foundation Layer – We end on another four inches of high-density poly foam, which gives the structure its stability and shape. The thick layers of poly foam here make for a firm bed that’ll keep sleepers positioned more on top of the mattress than in it. Cover – The cover here is similar to the one in the Purple as it’s also built with a blend of polyester and spandex, resulting in a stretchy and breathable fabric. Comfort Layer – The comfort layer is made up of 2” of memory foam, which provides immediate pressure relief to the sleeper as they slowly sink into the material. Given the foam’s slow response to pressure, you’ll experience some deep body contouring at the shoulders and hips. Unlike in the Purple, however, it won’t adapt very quickly to your movements, so you’re likely to feel more “stuck” in the bed. Transition Layer – Up next, you’ll find an additional 2” of memory foam. This particular foam is a touch firmer than the one above it, working to transition the sleeper into the denser base below. The layer also extends the body contouring of the top section even further into the mattress. Support Layer – The support layer of the mattress is comprised of 4” of polyurethane foam, which has a quick response to pressure and helps to continue transitioning the sleeper into the foundation. This layer also imbues the bed with some great support and stability. Foundation Layer – Finally, you’ll find 3.5” of polyurethane foam, which supplies the Cloud Supreme with a firm base and its shape. Comfort – The differing comfort layers quickly establish the respective feels each bed is going for. In the Purple, the buoyant section of hyper-elastic polymer makes for an immediately bouncy bed that’ll keep the sleeper positioned on top of the structure. Conversely, the thick layer of memory foam in the Cloud Supreme produces a plush vibe of deep sinkage and body contouring. Support – These unique feels are further accentuated by the support layers in the mattresses. 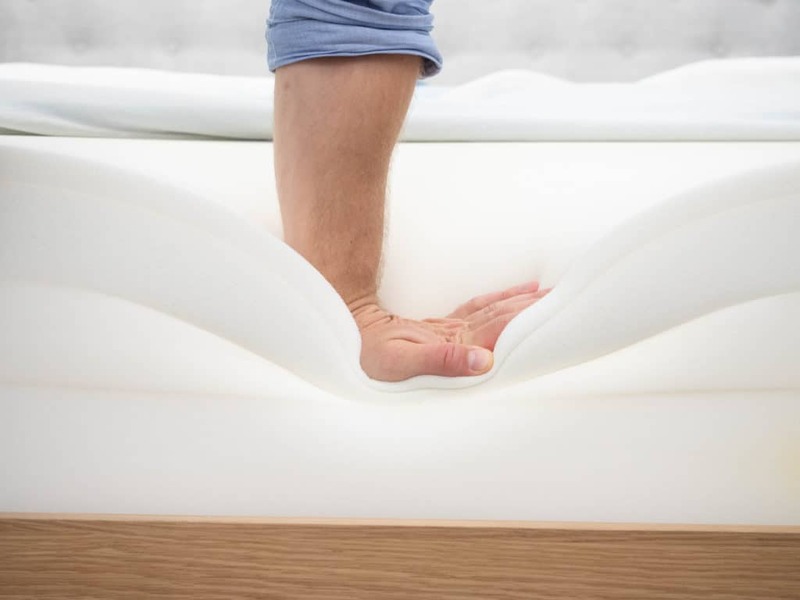 In the Tempur-Pedic, we see the soft memory foam layers bolstered by sections of firm polyurethane foam, which extend the contouring of the top sections deep into the mattress. The Purple doubles down on its bounce with dense poly foam, which help to gives the bed its characteristic spring. My testers were pretty much in agreement about the firmness of the Purple, giving it an average firmness rating of 6.4. 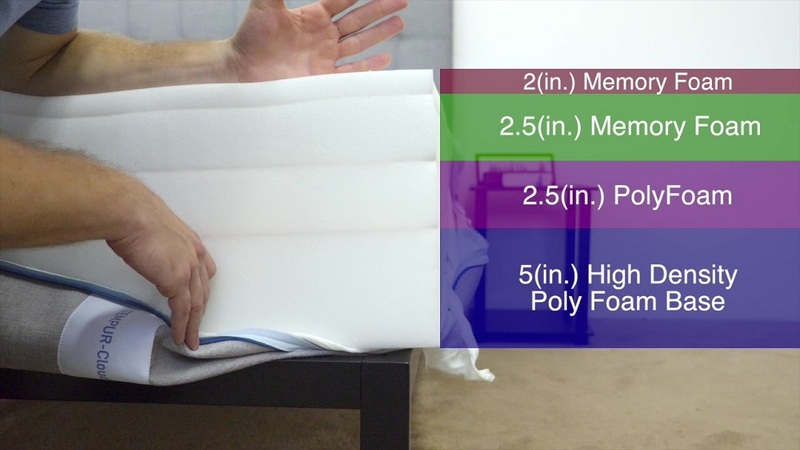 When compared to the industry standard of 6.5 for medium firmness, it seems the bed is almost exactly medium firm. The mattress got a 6.5 from me as I found its mix of pressure relief and support made for a solidly medium firm structure. While you’re likely to experience some nice sinkage as the grid walls collapse under your weight, the bounce from the hyper-elastic polymer coupled with the firmness of the high-density poly foam is going to keep you lifted on top of the mattress. This feel should satisfy a wide range of sleepers, but could be especially beneficial for combo sleepers who need to change positions in the night. I’d also add that the Purple is incredibly breathable. As you push into the bed’s smart grid, you can actually hear the air passing through it, resulting in a cool-to-the-touch structure. As you can see in the graph, the Cloud Supreme has a much different firmness than the Purple and received an average rating of 5.4 from my testers, marking it as a super soft bed. I personally gave the mattress a 5.5 as I found its memory foam-heavy construction made for a gentle, plush vibe. 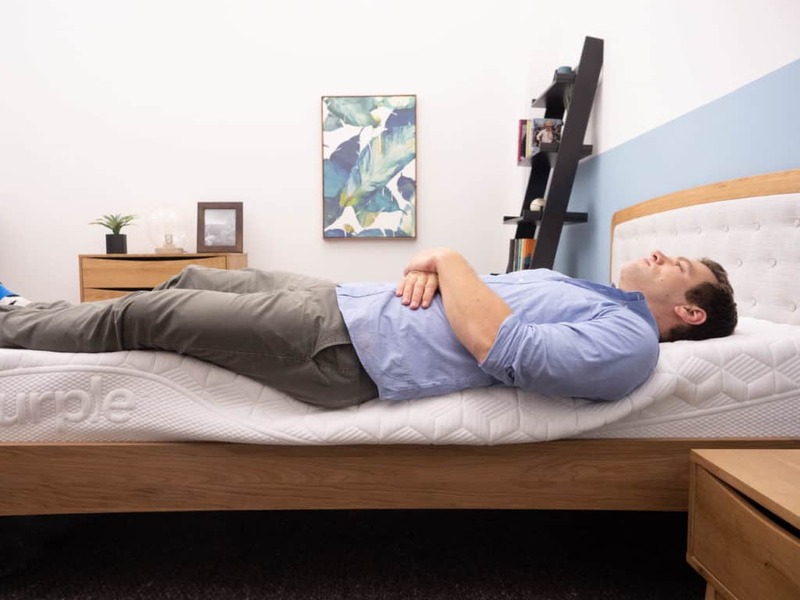 There’s not a lot of bounce to the Tempur-Pedic Cloud Spureme, so you’ll likely feel as though you’re sleeping more “in” the mattress than “on top” of it. 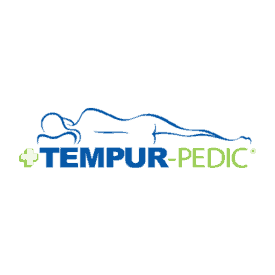 While this may not be an ideal feel for back or stomach sleepers, it could do wonders for side sleepers who need to feel a bit of contouring pressure relief at their shoulders and hips. Pushing into the mattress, I was struck by just how deeply I sank into its layers. This sinkage resulted in some intense cushiony support along my spine, resulting in a snug sleeping experience. As I mentioned up top, both Purple and Tempur-Pedic sell a few different models. While we’ve been looking exclusively at the Original Purple and the Tempur-Cloud Supreme, let’s open up the conversation to chat about some of these other beds. The New Purple comes in three different versions, all of which utilize the brand’s hyper-elastic polymer smart comfort grid over a section of pocketed coils. 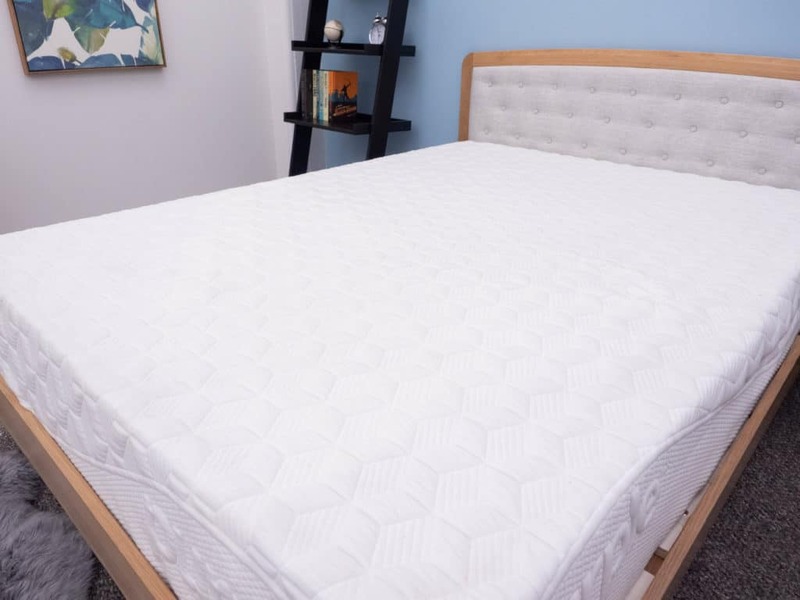 In substituting these coils for the high-density poly foam in the Original, the brand managed to create an even bouncier mattress with overall better support. The number attached to the respective beds indicates the height of its comfort grid. 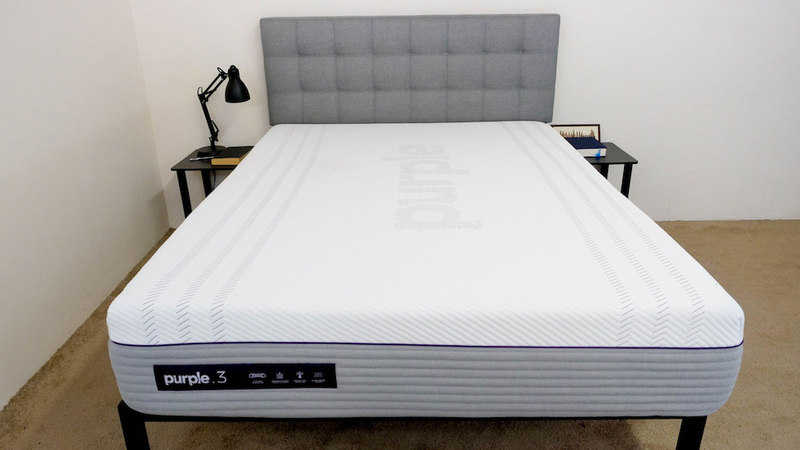 The New Purple 2 has 2” of hyper-elastic polymer (making for a firmer structure well-suited for stomach sleepers), the New Purple 3 has 3” of the stuff (a great amount for combo sleepers), and the New Purple 4 has four inches (resulting in a soft feel perfect for side sleepers). As the name suggests, the Flex Supreme is a firmer alternative to the brand’s Cloud Supreme mattress. As in the New Purple, the Flex gets its extra oomph from a section of pocketed coils that replace the Cloud’s foundational layers of polyurethane foam. 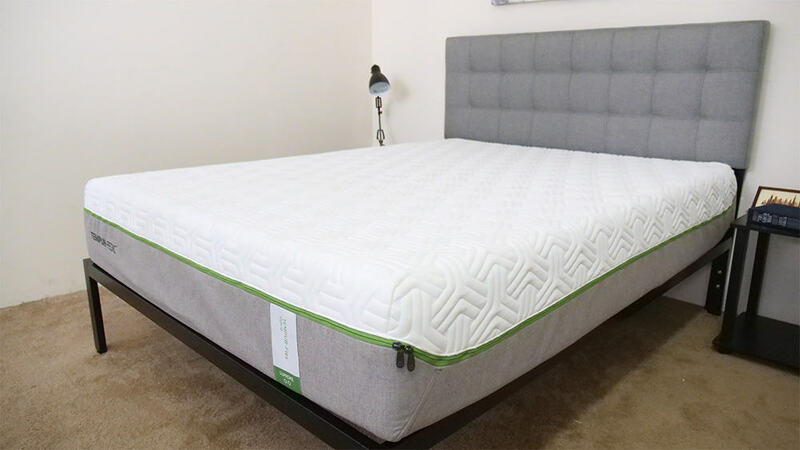 The result is a bed that’s got more of a supportive lift to it and a higher overall firmness rating, coming in at a 6.4 compared to the Cloud’s 5.4. Though this hybrid design creates a more balanced feel, sleepers will still likely enjoy quite a bit of pressure relief as they sink through the bed’s 3” of memory foam up top. That being said, both side and combo sleepers could find a lot to love in the Tempur-Pedic Flex Supreme. As I expected, you’re likely to experience way more sinkage with the Tempur-Cloud Supreme than with the Purple. In fact, the Cloud has more sinkage than almost any other bed I’ve ever reviewed and could be perfect for those who want to feel like they’re sleeping more “in” the bed than “on top” of it. However, if you enjoy being able to change positions with ease and want to get out of bed without feeling too “stuck,” I’d say you’d be better served with the Purple. Here, the Tempur-Pedic’s memory foam shines as it works to dampen and absorb disturbance across the structure. While the bounce of the Purple may make it easier to get up and out of bed, it’ll also lead to higher rates of motion transfer overall. After sussing out the finer points of these two mattresses, I think there are a few big takeaways. First and foremost, the Purple is a much bouncier mattress than the Tempur-Cloud Supreme. For this reason, you’re more likely to feel as though you’re situated on top of the former than on the latter. In this vein, the Cloud Supreme has a more luxurious vibe to it than the Purple. If you’re a fan of really sinking into your mattress, you could find a lot to love in its memory foam softness. However, this plushness does come at a steep cost as a Queen size Tempur-Cloud Supreme is approximately $1,500 more expensive than the same sized Purple. The first thing to figure out is what kind of sleeper you are. If you’re a side sleeper, you’re safest bet is to go with the pressure-relieving Tempur-Cloud Supreme. If you’re more of a combo sleeper, I’d suggest checking out the Purple. The second comes down to bounce. For those in need of a bouncy structure that’ll lift them up and out of bed, the Purple is the way to go. However, if you don’t need bounce to sleep happy, the Cloud Supreme could be great for you. And finally, let’s talk about price. Between the two, the Purple is the way less expensive option, which could be a big selling point for those of you looking for a value buy. The Purple is all about the combo sleeper, who will benefit from the buoyant lift of the bed’s hyper-elastic polymer comfort grid. Additionally, the Purple is incredibly breathable, ensuring that it’ll sleep cool throughout the night. 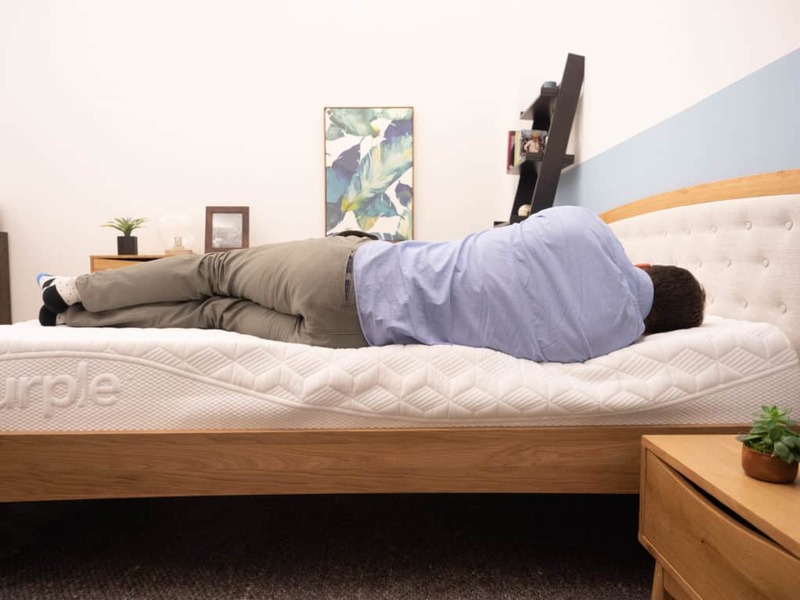 As we’ve discussed throughout this comparison, the Cloud Supreme is best suited for side sleepers who will likely enjoy the contouring pressure relief at the shoulders and hips. The bed’s also super luxurious, so could be a solid pick for anyone looking to invest in a plush, high-quality mattress. 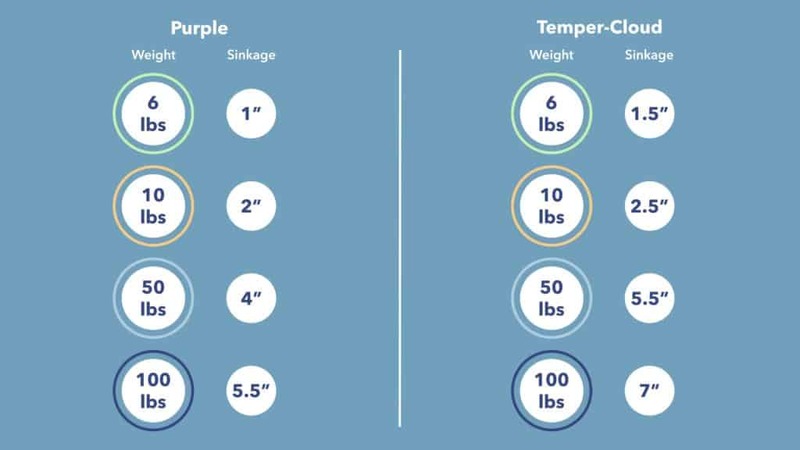 Well that does it for this Purple vs. Tempur-Pedic comparison! If you have any more questions or comments, please feel free to leave a message below!